Five minutes passed. Everyone shared their thoughts. My jaw dropped. How does this student not know where pancit originates from? I’m half-Filipino, and it’s the only Filipino food I will eat! How does my student not know this is a food of his culture? When I asked students how many of them have heard the word culture before, only one out of my 23 students raised a hand. This lack of knowledge was evident when I read their pre-writes about their families because no one wrote about their culture. Granted, my original question was overly general to leave room for students’ interpretation, but they just wrote about the activities they do together, or how many people are in their family. This indicated to me a huge problem: My students lack an understanding of how unique our cultural diversity is, and how each one of them has a cultural identity that they bring to our communities. Then it occurred to me: No expert can answer this question better than families. Having been a teacher in my school for six years, parent involvement has often been a challenge school wide. This year alone, I had to stop parents outside of my door to invite them in for Open House. I also had to call 10 out of 23 parents to attend parent-teacher conferences. Some attended their rescheduled time, and some didn’t attend the second time they selected. Oftentimes, my parents will attend if their child receives an award, they perform, or they attend the fifth grade promotion ceremony. I want to break the status quo. I want them to believe that their child’s learning is important, and their culture needs to be incorporated into our classrooms. I want them to know that they can be a part of their child’s learning. A Chuukese mother and father shared stories about taking a boat to school. A Filipino father shared a story about walking through fields to get to school, but he always had to bring an extra change of clothes so he wouldn’t be muddy in the schoolhouse. “Daddy, I didn’t know that!”, their daughter exclaimed. He and his wife also made pancit because that was their daughter’s favorite Filipino dish. A Japanese-American father made sushi for the class, and all the students made a sour face while eating vinegar rice. But they sure loved the crab mayo! “You know why I chose to come? Because I want my son to be proud of me and our culture,” one parent shared with me privately on her way out. In a world full of cultural diversity and thriving technology, oftentimes we forget that sometimes our most valuable resource is right in front of us, in the form of the humans we live and work with. So I challenge you, how can you involve your families more in your classroom? Leanna Agcaoili is a second grade teacher at Mayor Joseph J. Fern Elementary School in the Farrington-Kaiser-Kalani Complex in Honolulu. A 2018-2020 Hope Street Group Hawai’i Teacher Fellow, she has been teaching for six years in Hawai’i’s DOE. She is a National Board candidate and 2017 Locations Foundation Top Teacher Award finalist. Follow her via Twitter @LeannaAgcaoili. On December 3, 2018, Dayton and Keha, two students from Kilauea School, presented at my school’s Academic Review Team (ART), which serves as our leadership team. They were there to talk about three important issues important to the school. They had prepared a school-wide survey to get input on these three issues and received a lot of student input from their peers, which they reviewed to prepared a presentation for the leadership team. Because of the power of their presentation and ideas, the ART added “We will continue to include Student Council reps at our quarterly ART meetings” to Kilauea School’s Academic Plan Monitoring Tool. The ART listened to student voice and then gave them more power to be on the leadership team regularly. The current educational movement in our public school system is focused on student-centered learning, student-centered schools, student-centered discussions, activities, and philosophy. Student voice is increasingly becoming more and more important. Schools and districts are discussing ways to improve student voice. But are we discussing ways of giving students actual power? Would we consider having a student voting member on our Board of Education? Would we consider students being on our school and district’s teacher hiring committees? Would we allow students to evaluate teachers, principals, and even our superintendents? Would we consider having students at principal meetings to make decisions alongside principals? Would we want students being a part of the budgetary decisions of our schools, districts, and states? Would we consider having them being part of the process of designing new schools? Would we consider students being present when making decisions about curriculum or texts for our school? Would we allow students to give input on and vote on school calendars, for the length of the school day or year? Research indicates that students who believe they have a voice in school are seven times more likely to be academically motivated than students who do not believe they have a voice (Quaglia Institute for School Voice and Aspirations, 2016). For all of the important decisions that our schools, departments of education, and districts make, is student voice present, but more importantly, are students present? Dr. Christina M. Kishimoto, the Hawai’i State Superintendent, has rolled out the 2017–2020 Hawai’i Department of Education Implementation plan that makes student voice a key priority. This is a bold step in the right direction, but do students really have “power” in this plan to not only share their “voice” but to make decisions with the key stakeholders who have traditionally had the only real power? Student voice is more than listening to them at a meeting or two during the year. Student voice is more than eliciting their opinions on an occasional survey. Student voice is more than listening to students at an occasional focus group. Student voice is more than allowing a student representative to be present at a leadership meeting. Student voice is more than having a student council. It is about listening to them and then giving them power. Several years ago, Montgomery County Maryland School District voted to actually have a student member elected by their peers who can vote on board decisions. This is real student voice and student leadership. Can we empower students to be more than passive recipients of education, to be equal stakeholders and leaders? I had the opportunity to visit the SEEQS charter school on Oahu a couple of years ago where not only do students have a voice in their learning, but they have power through their school’s “Town Hall.” This enables students, teachers, and administration to steer the school. All members, including students, can bring motions for the Town Hall to discuss, debate, and vote on. Students actually brought a motion to change the passing time in their school schedule and after much debate, it was passed. Students were heard and granted the power to change, to have a hand in the important decisions on their campus. How many of our schools allow students to steer their schools? I also had the opportunity to visit Waikiki Elementary School and participate in the P4C group in fellow Hope Street Group Teacher Fellow alum Lori Peroff’s elementary school classroom. Students came up with the questions to focus on and then students discussed and came up with a myriad of answers to the question that they ultimately chose. Students were in charge of their learning and listened and learned from each other. Student voice was important in Lori’s room and students were given the power to lead the discussion and to learn. Student voice is essential in the classroom, but isn’t it just as important at the school level, district level, or state level where budgetary and policy decisions are made? On my island of Kaua’i, the Kaua’i Teacher Fellowship is an innovative collaborative which aims to bring teacher and student voice to the decision making process for the Kaua’i school district. Over the last two years, teachers and principals have collaborated to problem solve important issues that our schools are facing. Teachers have even been invited to more regularly attend principal meetings where important issues are discussed and decisions are made. It is hoped that student voice and regular student representatives will also become an important part of the principal meetings. How many of our districts have students collaborating and making decisions with principals? Why not? I was so proud of Dayton and Keha, our student council president and vice-president, when they presented to our leadership team in December. Our school leaders listened to them and heard them. And now they will be part of our leadership team and will be regularly asked for their input. They will not only have a voice, but they will have a place and actual power on our leadership team. Adam Fletcher, the founder of Soundout, an organization which promotes meaningful student involvement, student voice, and student engagement states, “Meaningful student involvement is the engaging of students as partners in every facet of school change for the purpose of strengthening their commitment to education, community and democracy.” It is my opinion that if we value student voice, if we value student-centered learning, then we will not only listen to students, but we will give them the power to be collaborative partners, to work alongside teachers, principals, board members, and superintendents. We need to share leadership and power with students. We need to empower our students to be leaders in our schools. We have a lot to learn from our students. If our schools are about our students and their learning then we need to trust students, listen to their voices, and give them power. In this way, students can take real ownership of their learning, classes, and their schools by being part of every decision that is made about them. 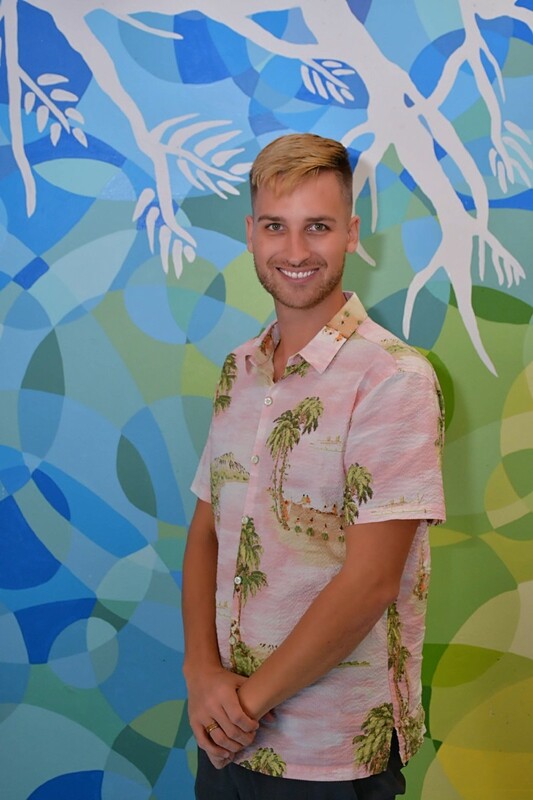 Michael Kline is a Special Education preschool teacher at Kilauea Elementary School on Kaua’i. He is passionate about teacher leadership and play-based education. Mr. Kline is currently an active alumnus with Hope Street Group and helps to facilitate the Kaua’i Teacher Fellowship. He has been a National Board Certified teacher since 2003 as an Exceptional Needs Specialist and is Kaua’i’s National Board Candidate Support provider since 2015. He holds a Bachelor of Science Degree in Education from Southern Illinois University at Edwardsville and a Master of Curriculum Studies from the University of Hawai’i at Manoa. When you ask business professionals what they look for in their workers, most responses relate to effective communication. Those without disabilities have the advantage of being able to communicate using their words, body language, and facial expressions and that advantage helps them navigate industries to find work. Students with disabilities may require extra skill-building to help them communicate with their non-disabled peers. While discussions about post-graduation plans are common with general education students, those conversations happen less frequently with our special education students. We need more adults asking our students with special needs what they will be doing post-high school, so that we can better prepare them for their future. Mrs. Tani Saito at Campbell High School teaches the Special Education Transition Classroom. Her classroom focuses on building functional work skills for students who will soon be exiting high school. One of the special projects her classroom takes charge of is a campus-wide coffee cart. Her students are responsible for ensuring all parts of their coffee cart is ready. The students make the coffee, prepare the materials needed to travel across the large campus, and independently navigate the carts to reach all buildings. When walking across campus, students make stops at classrooms and work on communication skills. They work on asking their non-disabled peers what kind of drink they want, whether it’s coffee or tea, collecting money from their peers, and asking the other students if they want change. The collection of funds adds another layer of functional living skills because students are tasked to learn how to collect money, give change, and count dollars and coins. Ultimately, managing the cart is teaching students how to socialize with their peers, work on the pragmatics of speech with their non-disabled peers, and improve their understanding of simple and basic monetary exchanges. Another great project that helps students build workplace readiness skills is the Fruit 4 You Store operated in Mrs. Deeanna Henry’s classroom. Students in her classroom purchase fruits, vegetables, and salad bowls from the local grocery store and sell them to hungry teachers during lunch. “Student are building customer service skills, learning how to follow instructions, determining if the fruit is good to be sent out, directions to deliver the fruit, monetary exchanges, and inventory skills to see if there is enough fruit. This provides them an opportunity to develop job skills for future occupations. The interactions they have with other people is essential for when they enter the workforce” says Mrs. Henry. The Fruit 4 You store has a campus wide email that sends a notification to faculty members about useful facts and reasons of why to eat healthy. Teachers will call into the classroom to make a purchase. The students are in charge of taking down the order, calculating how much it will cost, and delivering it to the teacher’s classroom. Having a simple conversation with guided questions and practice can help students with special needs practice their communication skills. When you approach a student for conversation, make sure to extend your hand and ask them to give you a firm handshake. When answering questions, make sure they are using complete sentences detailing why they are interested in that career field. Lastly, ensure you are giving positive praise and being authentic. The next time you see a student with a disability, ask them, “what do you want to do after high school?” You will be contributing to their success. Ryan Mandado is the Special Education Department Head at James Campbell High School, the largest public high school in the State of Hawaii. He helps to elevate and support 30 SpEducators in his department who service approximately 300 students with special needs. He is commitment to ensuring all students in Special Education has access to a equitable, inclusive, and excellent education. He is a proud product of Hawaii public schools and has a Master of Science in Education from Johns Hopkins University. Find him on Twitter @RyanCanoneoM. The number of education majors has dramatically decreased since the 1970s and an increasing number of teachers are leaving the profession. But why is that? According to an infographic from the Learning Policy Institute, “more than 200,000 teachers leave the profession” each year. And almost two-thirds of those teachers are leaving for reasons besides retirement. After seven years as a public school teacher, I have experienced the many highs and lows of working in education. The lows left me questioning whether or not I chose the right profession. The lows made me understand why some people who dreamt of being teachers left education soon after they entered it. The lows made me understand why less people are becoming education majors. But ultimately, the lows made me understand what needs to change in education and why teachers need to band together to strengthen our profession and our student’s learning. In the spring of 2009, I was about to graduate with my master’s degree in molecular biosciences and bioengineering from the University of Hawaii at Manoa. I had dedicated years of my life to researching how to cultivate algae and cone snails in a laboratory setting. But honestly, although interesting, conducting research day in and day out was not for me. I wasn’t passionate about it at all. While I’m glad to have had the experience of doing scientific research, the actual work wasn’t fulfilling to me. I was just glad when I completed each requirement because it meant I was that much closer to getting my degree, but there was no validation, no pride for doing it. I actually got most of the thrill from just saying what my master’s degree program was in because people looked at me like I was this huge genius and I loved the ego boost. Here I was, about to graduate and I literally had no idea what I was meant to do. What was I going to do with my life? I kept hearing my mother’s voice in my head saying, “Become a nurse.” Or “Work at one of those biotech research places.” Or “Get your PhD!” But I didn’t want to do any of those things. While I was a graduate student, I also worked as a teaching assistant for a biology for non-majors lab. I found that what I truly enjoyed was spending my time planning lessons for my students and helping them appreciate science even though it wasn’t their major. This pleasure I found in planning and teaching stuck with me as I approached graduation and those dreaded, uncertain “next steps,” so I took a breath, took the leap, and called and made an appointment with a college of education advisor. I was on the road to becoming a teacher! When my mom found out I decided to become a teacher, she was less than thrilled. She had been a teacher for years and still works in the DOE. As every parent wants for their child, she wanted better for me than what she thought a career in education, especially as a public school teacher, could bring. She was aware of the current situation of teachers, hours of seemingly endless, sometimes thankless work, countless policies to be implemented, not to mention the lower pay, all too common for teachers to endure. When my mother was in college in the 1970’s, choosing to be an education major was very popular. According to the U.S. Census Bureau, in 1975, “…more than one-fifth (22%) of college students majored in education — a higher share than any other major. By 2015 though, fewer than one in 10 Americans pursuing higher education devoted their studies to education.” Why is that? Probably because of the same reasons my mom didn’t want me to become a teacher. However, college students not majoring in education is only part of the issue. Despite what my mother said and the statistics, I still wanted to be a teacher and pursue a career in education. I partially wanted to do this because of my mom. I don’t think she realized that every time she talked about work at home, she spoke about it with such passion and conviction in her voice. She always spoke about putting the students first, seeing the big picture, and that the choices she made or the things she asked educators to do was because ultimately the students would benefit. Years of her sharing her education philosophy made me feel like I could make a difference in the lives of young people, just like my mother did. My mom eventually came around and gave me whatever advice she could to help me. She said that if I could make it past my first five years in the classroom, then I could make it in the profession. As I stated earlier, this school year marks my seventh year of teaching., and I can certainly attest that the first five were the most difficult. When they say that college education classes never truly prepare you for being a teacher, THEY’RE RIGHT! It seemed like everything I learned in my classes went out the window my first day as a teacher. I had to learn new strategies that worked for me in my particular classroom. I found that the best people to acquire strategies from were fellow teachers at my school who were willing to share their tried and true best practices on everything from classroom management to instruction methods. For the first few years, it was all trial and error. I was not completely sure of myself as a teacher. I was often overwhelmed with the abundance of emails, managing student behavior, giving feedback on all assignments, differentiating lessons for students with accommodations, communicating with parents, creating lessons from scratch, making sure to give multiple formative and summative assessments, being consistent with my classroom procedures, contributing to my grade level team and department, learning the various procedures of my first school as a teacher, preparing for standardized testing without knowing anything about it, all the components of Educator Effectiveness System (EES) — classroom observations, conferences, student learning objectives, data collection. Since all of this was new to me, I often found myself staying late into the night, after everyone else had left, just trying to keep my head above water and finish what I needed to for class the next day. Does any of this sound similar to your first years as a teacher? Those first few years were the years that I had the most lows. I had classes that would constantly talk over me as I was teaching, parents raising their voices to me asking why I “gave a poor grade” to their child and demanding I change it, administrators asking why our proficiency scores were low on the standardized state science assessment, to name a few. I thought something was wrong with me. I thought I must be in the wrong profession if I was struggling this much. I thought maybe I shouldn’t be a teacher. According to the Hawaii State Department of Education, “43% of teachers [in Hawaii] have between zero and five years of teaching experience.” Currently, only 57% of teachers in Hawaii have five or more years of teaching experience, which means that the highest teacher turnover is occurring in the early years of a teacher’s career. According to a report from the Learning Policy Institute, the factor teachers reported as being the most important reason for leaving teaching is dissatisfaction (55%). Major areas of dissatisfaction include dissatisfaction “because of assessments and accountability measures”, “because of not enough support to prepare students for assessments”, “with administration”, and overall dissatisfaction with teaching as a career. In my first few years, I was definitely dissatisfied as a teacher. But I didn’t leave teaching. What made the difference for me and gave me the motivation to “stick it out” was the support that I received from my mom, the teachers at my school, and my mentor teacher. My mentor teacher, Tammy, met with me multiple times during the month and would often check in with me. During our meetings and calls, besides discussing my teaching practices, classroom management, formative and summative assessments, she would also ask me to reflect on how I felt that day or that week and why. This reflection process helped me to identify that I was struggling because I was spreading myself too thin, saying “yes” to too many things, trying to do too much, and staying too late. Tammy and other teachers at our school helped me to refine my teaching practices to be much more manageable so that I would be able to accomplish everything I needed to without overloading myself. Now, after having crafted a structure to my classroom that best works for me, it’s not about merely surviving, it’s about thriving and ensuring that my students are thriving as well. It’s about awakening my students curiosity, inspiring them to ask themselves “how can I make a positive impact on the world?” As a new teacher, I thought I was supposed to teach my students everything. Now I know that providing my students opportunities that allow them to explore and make discoveries about the world around them is the best education that I can give them. What is driving teachers to leave teaching? Dissatisfaction. Yes, low salaries play a role, but I believe that mostly teachers are frustrated with not having a voice in their own profession. We are often told a certain education policy must be implemented, but how often are we consulted or contribute to shaping the policy or how it will be implemented? We are often told standardized assessments are important, but how often are we involved in how they were created? We are often told that teachers are underpaid for the experience and value that we bring to the profession, but when will be be paid our worth? Not having a voice in decisions made at the school, district, state, or even national level, when it comes to all of these issues contribute to teachers feeling dissatisfied in their profession and high teacher turnover. How can we improve teacher voice and make policy makers and stakeholders in education realize that teachers should have a say in decisions made regarding education, curriculum, standardized assessments, and teacher salary? I believe the only way we can make this happen is sharing our voices collectively. There is power in numbers. We must advocate for ourselves and the teaching profession. We must join forces with other educators to strengthen teaching and learning. We must share our greatest moments so everyone knows why we love teaching. We must reflect upon our lowest moments as teachers so that we can understand what it will take to make a change for the better for future generations of educators. We must share our unique story. Together, we will be heard. I’d love to hear each of your unique stories and your opinion of what needs to change in the teaching profession to encourage more education majors, increase teacher retention, and decrease teacher turnover. Let’s use the hashtag #OurTeacherVoices to start the conversation and we will be heard. Elizabeth Mahi is a Science Teacher for the Hawaii Department of Education and a Hope Street Group Hawaii Teacher Fellow. Follow her via Twitter @MsElizabethMahi. A prevailing narrative of US public education of late is that it is failing because of poor and outdated instructional methods. However, many classroom teachers know this narrative is untrue. Our education system is not failing en masse because of outdated teaching methods. The reasons parts of our school systems struggle are much more complex. Even despite disheartening inequity, there are still phenomenal things happening in public education, but these positive stories are rarely told. As teachers, we might consider working together to change this. If you are one of over 3 million teachers in the US, think about sharing your classroom’s story or your teacher story to paint a truer picture of public education. By contributing your own colorful shade to a dull sketch of a so-called broken educational system, you give clarity to what it is truly like to be a classroom teacher. Consider this: teachers are witnesses to the immediate problems in our communities. Teachers see students day after day and acutely understand how students are affected by the problems in their community. Teachers love their students. Teachers see their students as humans. Not simply as data points. Not simply as test scores. Teachers know we cannot say that these students are not my children and therefore, I don’t care about what happens to them after they leave my classroom. In this respect, teachers have a deep knowledge of the community they serve, and should share ideas for its improvement as well as build partnerships with community stakeholders with the support of their district’s leadership. Still many times teachers are told, “Put aside the factors you cannot control and only focus on factors you can control.” In fact, a few months ago, at a professional development training we were told to write down all the things that we had no control over, like a student’s homeless situation or a student’s parent’s job loss, and place it aside. As my colleagues and I wrote these factors down, I began to feel upset. I wondered, why is it that we are always asked to set aside these things we can’t control when they are the most impactful things for my students? Why can’t teachers affect more than just what happens in our classrooms? Why are we asked to put constraints on what we can do as teachers? If we ask teachers to believe in their power to move their students beyond poverty, racism, sexism, and other limiting factors, then we must also believe in the power of teachers to collectively bring to light problems and solutions to the education system and then change it for the better. To act as if the environment that surrounds school is not somehow one of the important factors that teachers should try to change is asking teachers to be active participants in an oppressive system, which never truly seeks to change the very thing it claims to do, which is to empower students to a successful life. One way teachers can advocate for change is to simply begin by writing our own stories: the good, the bad, and the ugly. The truth is needed. If this sounds intimidating, teachers can start small by writing a story of #WhyITeach or write about about instructional strategies that work for their unique group of learners. As they gain confidence, teachers can write to local businesses and partner with community stakeholders with their schools with support of their district’s leadership. Once teachers begin sharing their opinions of how to improve education, they will be unstoppable. Systemic change often begins with a shift in mindset so simply by sharing your voice, you will be influencing and changing opinions around public education. Consider submitting your story to organizations such as NCTE, ASCD, Edutopia and Curio Learning. As teachers, our experiences are vast. We’re indigenous. We’re immigrants. We’re settlers. We live with a disability. We’re artists. We’re care-givers. We’re from disenfranchised communities. We’re from the dominant culture. We have privilege(s). We look like your child. We look nothing like your child. We’re in our second career with knowledge about industries outside of education. We’ve always wanted to be a teacher since we were little. When we tell teachers it’s okay to care about the issues that long held beliefs say teachers can’t control, and give teachers opportunities to voice solutions to long standing issues, there will be a dramatic shift in public education. Because empowered teachers grow empowered citizens. And we need those more than ever. Jill Yamasawa Fletcher is a poet, National Board Certified Teacher, and a 2018 Hope Street Group Hawaiʻi State Teacher Fellow who advocates for student and teacher empowerment. She has taught AVID, college and career readiness, to grades 6–8 for 6 years and was an ELA teacher before that. Jill holds a BA in English from Santa Clara University, an MA in creative writing and a teaching credential from University of Hawaiʻi at Mānoa. She is currently a TA assistant principal. Find her on Twitter @teachinginhi. An Arts Education: Is It Really that Important? With the achievement gap persisting, who has time for arts education? Don’t our children need to learn to read on grade level? Don’t our children need to be able to write an articulate and well-crafted essay so that they can pursue higher education and reach their full potentials? We need to cut out the excess “fluff” and focus on the academics. In 2009, Paul Taylor walked into my life. Through the arts programming at my school, I had the opportunity to learn his original choreography from his team of dancers, and then perform for him. For the non-dancers out there, I might say that a comparable experience could be acting in an action film being directed by Chuck Norris. Or playing a basketball game with the Lakers while being coached by Kobe Bryant. Taylor and several of his dancers had unconventional paths to their careers. Taylor began at Syracuse University as a swimmer, wanting to be an artist, and then transferring to Juilliard at age 22 to pursue dance. Madelyn Ho, a current dancer with the Paul Taylor Dance Company, studied Chemical and Physical Biology at Harvard College before dancing for a few years, went back to Harvard to attend medical school, then finally returned to the stage putting her medical career on pause. No one will tell you that it is easy to pursue a career in the arts. While a career may be difficult, what is inarguable are the benefits of arts education. According to Americans for the Arts, arts education can improve student success in school, work, and life. Aside from artistic skill, arts education can equip students with other skills such as problem solving, goal setting, and interpersonal skills. With the recent increase in student behavior issues that have a negative influence on teaching and learning, schools have been working on finding ways to teach students to cope with and self-regulate their emotions. Programs focused on social-emotional learning and behavioral interventions are cropping up across the country. These types of programs that explicitly address some of our students’ greatest needs are valuable tools but can leave some with wanting more. The arts have been shown to keep students in school, even through graduation. According to Facts & Figures, the arts have such a great impact as they can reach students “who might otherwise fall through the cracks,” or “with different learning styles.” They also create “a feeling of connection and cooperation between students” and redefine school as an exciting place of “learning and discovery”. I thought for sure I would not be using my dance or art training once I entered the classroom as a teacher. Yet, I found my students crave art. I tried to create opportunities for arts integration in our learning from writing with paint to creating dioramas to retell texts and identify key details. To facilitate efficient and calm transitions in the classroom, I used my knowledge of how bodies move in space to choreograph our travel patterns. To help my students identify their feelings and develop self-regulation skills, we listened to different types of music and reflected on how it impacted our moods and readiness to learn. Deborah created awesome inclusive clip art for her students and shared this and other arts resources in Curio. Check out his Card here to collaborate with her & download the other resources she shared. Although I am not in a career directly related to the arts, I use the skills I learned through my arts education programming every day and see the benefits my students gain from these brief exposures. Since the introduction of No Child Left Behind, moving on to the Race to the Top, to more initiatives focused on school performance improvement, schools with high populations of lower socioeconomic status families are seeing a decrease in arts programming. When students are being denied opportunities to learn more about themselves as individuals and develop important life skills, we must reflect upon what they are being provided with instead. Are the learning opportunities students have today sufficient to put them on the path to success? Is there only one path to success? Some students may be able to learn grit and perseverance from their Calculus classes while others may need to learn it through learning a new piece on the saxophone. Some students may be able to go straight from high school to college to a career, while others may need a few years developing skills and talents outside of the classroom. We see that every student is unique, but our education system needs to see that too. If we want to close the achievement gap, let’s look at who’s falling through the cracks and build them up so that they can be successful in areas they may never have experienced success. In the words of Paul Taylor, let’s help our students “know about themselves” — that they are more than readers, more than writers, more than mathematicians. Let us guide them to discover their whole selves and celebrate all of their talents. Deborah Moon is a special education teacher at Nānāikapono Elementary in the Nānākuli-Wai’anae Complex. Over the last three years, she has had the opportunity to work with students from pre-kindergarten through fifth grade in resource and medically fragile settings. Debbie is also a Teach For America — Hawai’i alum and has spent the past two years serving as the Elementary Content Specialist for TFA’s elementary teachers on Oahu. Debbie graduated from the University of Pennsylvania with a Bachelor’s Degree in Visual Studies and Communication, and from Johns Hopkins University with a Master’s Degree in Educational Studies. Find her on Twitter @themoonroom808. In a downtown meeting room, twenty school teachers gathered to listen to several high school students share their life passions. The energy in the room was filled with optimism and excitement to hear how these young people discovered their passions. The first student speaker expressed that he wants to help his friends deal with teen life, find their voice and have a safe place to speak out. As a result, he focuses on teen advocacy issues. When asked what lead him to his passion, he shared a tragic story of a classmate who committed suicide, and the next day his best friend did the same. This student found his passion through a traumatic life changing event. The room fell silent with disbelief, sadness, heaviness, and an outrage that our young people, our students, are dealing with experiences and feelings of hopelessness that lead them to no other option than taking their own lives. Our hearts ached and we all wanted to know if they received any guidance in coping with life’s dramas and traumas. Another teen quietly said, “Not really. I wished I knew how to meditate or something to deal with this.” Her simple statement was a resounding confirmation that one of the essential lessons that we should be teaching and modeling for our students is how to be happy and how to handle life’s ups and downs. Happiness is a state of being that we all desire. As a teacher, my daily classroom experience confirms the belief that when students are happy they use their learning time more efficiently, they try harder, they take risks, and they perceive failure as a learning opportunity. When they are happy, they contribute positively to the classroom and school culture. The opposite happens when students feel the contrary. With an increase in school violence and the pain of our young people, schools are shifting their focus to the whole child and social emotional learning (SEL). The Collaborative for Academic, Social, and Emotional Learning (CASEL) report on positive impact of SEL programs on elementary to middle school students found improvements in multiple areas: personal, social, and academic. CASEL found that SEL promoted an average gain on achievement test scores of 11 to 17 percentile points. However, education is far more than achievement scores. At its root, education means to draw out inherent self-knowledge. Education’s end game should be a student who is prepared to live a happy and meaningful life. SEL programs help with that education and the positive impacts are encouraging. Yet, I still hear the soft voice who said, “I wished I knew how to meditate or something.” There is something we can do now that only takes five minutes and is a valuable tool for navigating life’s dramas and traumas. The skill of quieting the mind and focusing on love or as we say in Hawaii, “aloha,” can put one in a peaceful and happy state. Every morning my students and I give ourselves five minutes to quiet our minds and bodies and focus on our breathing. We use our visualization skills to send love to all parts of our body. We visualize our families, friends, all people and all living things happy and content. We imagine our day already being a successful day and then we smile. 20 years ago, I learnt this simple practice in a small boarding school in Thailand. The calm demeanor of the staff and students encouraged me to practice daily. When I returned to the U.S. I knew I wanted to incorporate this practice in my classroom. For the past 20 years, I have sat silently with my students reaping the benefits from beginning our day making a connection to our heart. To help the students with the visualization, I created a short video illustrating this process. In silence, we use this opportunity to connect us to ourselves and others. We remind ourselves that we are love and that we can freely share our love. We remind ourselves that positive actions are born out of love. We increase our mindfulness and strengthen our concentration. As we experience happiness within ourselves, we feel content and happy. As we open our eyes to the new day with positivity and love, we greet each other with aloha. In the beginning of the school year, this five minute practice was strange and awkward but by the end of the week, mutual respect and trust began to grow. Now, this treasured practice is an integral part of our day. The inner experience is peaceful and relaxing. It is a moment to remember we are enough. It is a chance for our creativity to reveal itself. It is a moment to forgive ourselves and others. It is five minutes out of 1,440 minutes in a day, that is intentionally used to tap into the feelings of love and happiness. And the students who choose to watch others sit silently, they practice respect, allowance and also experience a stillness. The new year has arrived, and I have five more months with my students. We may feel that there is so much to teach and learn before the end of the school year and that time is precious and can’t be wasted. Yet, I know that it is worth spending five minutes sitting silently in love and being happy both individually and together. Stephanie Mew is an inclusion teacher at Kapunahala Elementary, Hawaii. Her passion for teaching began 18 years ago at small boarding school in Thailand where she learned that the meaning of education is to draw out the innate goodness, gifts and talents of each individual. She has Masters degrees in Social Work and Education and is the 2016 Hawaii State Teacher of the Year. Stephanie believes that the foundation for a peaceful community starts with making a connection with our hearts. By using our loving heart to guide us in all of our communications and actions, we can see the unity in our diversity. Find her on Twitter @StephM808. My students looked at me with this weird look on their faces. A few said hello in return, but many walked by, puzzled by their new teacher in their new class in the new school year. However, I managed to get a few smiles here and there. I did this EVERY. SINGLE. DAY. Period. I stood at the entrance to my classroom and greeted each student as he or she entered. I stood tall and smiled as I greeted each and every one of them. I resisted the urge to sit at my desk and check attendance or email-things I used to do during this three minute period. As the days progressed, those weird looks and silent stares became, “Hello Mr. M! Good morning Mr. M! Hi Mr. M!” Students smiled back and some even gave me high fives. One student in particular taught me a special handshake that she and I did every day. Another student enjoyed my daily greeting so much, that he decided to take part; “I got this Mr. M!” and he proceeded to welcome classmates just as I did. This simple interaction with my students at the beginning of each class made me smile but more importantly, it made many of my students smile as well. We began each day on a positive note which often carried itself throughout the period. This 3 minute routine became the best investment I made that year. Students started my class with a smile and a greeting, and that had a positive effect on their behavior over the course of the year. This is not to say that this 3 minute routine prevented all behavior problems, but it did make a noticeable difference in my students’ behavior and interaction in class. They knew that no matter what, Mr. M was going to be there at the door with a smile and that he was genuinely happy to see them. No matter what their day was like up to that point, when they got to my room they would be welcomed. Now, as easy as this 3 minute investment is to make, it’s not always easy. As the year progresses there might be a few challenging students that cause you so much grief that, quite frankly, you don’t want to greet them. Consider though that your face may be the first smiling face they have seen all day. You could very well be the ONLY person to say hello to them that entire day. Those 3 minutes are sometimes hard to give up. Believe me, any teacher will tell you that there is A LOT that can be done during those 3 minutes that students file in. I’ve been known to make copies, prepare attendance, check my inbox for new emails, and still have time to spare before the bell rings. However, if you can commit to using these 3 minutes to greet each and every student with a hello and a smile, you will see a noticeable change in the way your students behave and interact with you. You’ll build relationships with them which will help with classroom management. At the very least, you’ll bring a smile to every single student and show them that you really care. Kevin Matsunaga is a digital media and yearbook teacher at Chiefess Kamakahelei Middle School in Hawaii. He is also a Hope Street Group State Fellow for Hawaii and is an active member of the Student Television Network and PBS Hawaii’s Hiki No Program. Find him on Twitter@MrMedia808. I remember a teacher who seemed to have an insurmountable amount of energy. This teacher celebrated my successes like I won an Olympic medal and coached me through weak spots like I was the most important person in the class. He was kind and always reminded me to put myself in another’s shoes when I was upset. Once, when I was really mad that someone had copied my quiz, he asked me why I thought they copied. Was the other student lazy? Were they embarrassed they didn’t know the answers? When I calmed down, I admitted that I didn’t know why they copied and with a little push from my teacher, I befriended the other student (they had test anxiety) and we’re still friends today! This teacher was there to guide me to be a better person, not just to be a better student. No, I wasn’t special. In fact, he did this for all 180 of his students without asking for anything in return. This person was my high school teacher and class adviser. Yes, high school! Elementary teachers often hug their students and give them cute mementos to take home to brighten their day. There are class parties, field trips, and reward systems in place to motivate and celebrate student success. Even in many middle schools there are incentives and team bonding activities. Yet, for many high school students, school is business-like, mostly devoid of these practices based in love and direct human interaction. Instead, there are different classroom routines and syllabi, homework assignments, quizzes, tests, projects, presentations, class lectures, and more negative consequences than positive. We even expect students to travel from one class to another and adjust to the teacher’s personality and teaching style! Sure, there are some activities like school assemblies and extra-curricular activities, but much of the personal touch is lost. With a typical class load of 100–180 students and high-stake tests, I completely understand the workload and the pressure that high school teachers experience. But, can’t we find some time to show our students some love? I find that many of students do better when they forge a relationship with their teachers and when they know that the teachers genuinely care about them as people and not just as scores or numbers or grades. The bond may not be instantaneous, and it does take a lot of effort on the part of the teacher, but it is definitely worth it. It doesn’t mean going out and spending money to buy them stuff. It doesn’t mean making class easy and being the “cool teacher.” It means letting students know that you care. I try to go to at least one of their sporting events, band concerts, etc., and I take my children to watch the school play. I call parents to let them know how proud I am of their child. I make it a point to handwrite a warm note to each student once a semester about things that I’m proud of or things I want them to think about. I am always touched when I see them tuck their letters in their binders or when years later they tell me they still have my letters and that the letters help them through tough times. When I receive a handwritten thank you note from a student playing college football or a wedding invitation from a student that graduated ten years ago, I know the efforts to show love and kindness are worth it. Society often thinks that as students get older they don’t need to be “loved on” as much, but I think high school students need it more than ever. The adolescent years are tough and balancing relationships, activities, and their future is overwhelming to do on their own. It is in these times of uncertainty that students need to feel an unconditional love when they don’t sometimes love themselves. They may or not may get it from their family, but they could get it every school day from a teacher. It’s not always easy to love students when they act out, but it’s those students who need the love the most. Imagine if every child at a high school connected with at least one adult on campus. Someone to listen to them and give them advice when needed. Someone to offer a hug or a high five. Someone they can turn to when they need help. Someone to make them feel safe and loved. The impact that could make on student behavior is powerful. I challenge all educators to really think about the impact they have on students. What are ways that teachers can show students love? Some teachers meet students at the door and high five/fist bump each child on the way in so the class starts off with a good vibe. Others take the beginning of class to ask about everyone’s weekend or use nicknames to help students feel special. It doesn’t have to be big or showy, but as we talk about events like Unity Day to encourage everyone to “unite for kindness, acceptance, and aloha,” maybe we teachers can also ask ourselves, how can we show love to our students? What simple ways can we commit to loving our students on a daily basis? They are just kids after all. Share your ideas and tag me (@daphneokunaga) along with @CurioLearning. Daphne Okunaga is a Charger alumni who takes pride in teaching at Pearl City High School. Daphne is more than a mathematics teacher, serving as a hanai mom to many of the student athletes at Pearl City High School, and she can always be counted on to tutor students in need. Beyond athletics she serves the community by coordinating graduation and helping to support various student government initiatives. Find her on Twitter @DaphneOkunaga ‏. I never quite know how or what curriculum will be taught until I understand the unique students in my classroom. This year started like most as I carefully observed interactions and values that bubbled up as they created a “We Are” poem to ground us in our collective identity. Thirty percent of my students are multilingual and nearly all have a great need to develop literacy skills. Patient support is needed as we work to achieve proficiency of the fourth grade standards. As students read new texts and incorporate writing strategies, important instructional access points lie in their existing strengths. I reflected on the mindsets and interests highlighted by foundational activities such as discussions and block tower community constructions. 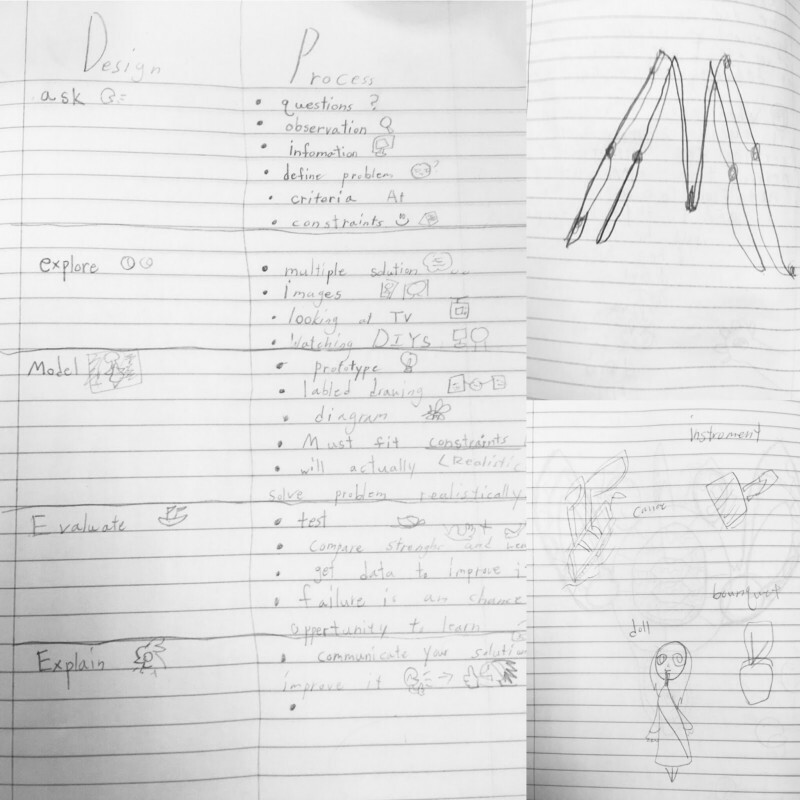 The activities selected early in the year uncovered the students’ superhero power: DESIGN! These fourth graders came to me with the seeds of design thinking experience. Project-based learning has been a complex-wide initiative since these students were in first grade, and it showed. Next Generation Science Standards call teachers to address engineering practices, such as generating solutions that meet constraints and criteria and improving a prototype. The Makerspace, our Makerspace, started quietly and ended noisily. I had seen glimpses of Makerspace on my Twitter feed and was curious about a place students could use materials and tools to develop creative projects. Was Makerspace just hype? Will clutter overrun my class? Am I going to waste materials and money? It was so open-ended and so many unanswered questions ran through my head. I started with the idea that the space didn’t need to be high-tech and well-funded. I would just try it out with a Makerspace mindset. I filled several baskets on a cart with supplies that I had on hand, such as clay, tape, rubber bands, markers, and paper towel rolls. Next, I made a sign, an invite to get moving! We had computers at the ready and freedom to explore. I was pumped. But now what? Glen Morden, Patagonia’s VP of Innovation said, “If something didn’t work, it’s because we didn’t know things we would have known, had we involved more people. We succeed when we stay open-minded and collaborative, by having the humility to invite others to help.” I considered tapping more teachers and websites for resources but then I realized the students could experience authentic learning as a group of organizers. If I had all of the answers, then they would jump through artificial barriers and miss out on learning. They would make the cart materials into a useful place, on their own. The making of the Makerspace, in itself, would be my students’ first engineering design project. So I asked one student who had been deeply engaged in the collaborative Keva block challenge to envision this cart transformed into a Makerspace for student-created inventions. He chimed in that he would think of ideas of what we could include in the area. The list languished and we only had two items days later so he partnered with a friend. Together, they came back to me with a huge list to present to the class who added even more ideas. They created a little “maker mascot.” Then, another teacher donated a cubby organizer that was soon filled with donations brought in. The seeds were sprouting but not without a few weeds. Because this was still unknown territory to me, I timidly did a soft launch of our Makerspace with just a few students who had finished work early. First, the chaotic flurry of papers and tools. Sharp scissors threatened students who surrounded sticky workspaces. “If nobody takes care of it, it will be gone. We will close this whole thing down.” The warning came out of anxiety, rather than love. I practiced my mindful breaths and prayed for thoughts higher than mine. It’s only going to be messy a short while, I told myself. The scissors cut could have happened during any subject time. We talked about the problems that came up and found solutions together. The shared norms that evolved addressed each issue. Put the half-completed projects in your personal bin. Review scissor safety training. Share materials. Respect that others can’t drop things right away to hand you a marker if engaged in deep concentration. Take initiative and problem-solve. We must give others space and use more tables if needed. A week later, students earned the privilege of holding a Grand Opening Makerspace Lunch. Choosing to skip lunch recess, they flew into a 90-minute flurry of action. I circulated to hear the entire Maker Room transform into a buzz of engagement, resourceful making, and planning. Seeing their drive to design and determination to succeed was an all-time career highlight. “I know what makes it better! Don’t use so much expensive clay for one project unless absolutely necessary. Low noise level to respect our neighbors. Making weapon-like items is forbidden by school policy. Clean up at the end of the work period is OK because clean-ups along the way interrupt the innovative process. Send a message to parents about materials used that may pose a possible choking hazard for kids under 5. My students proposed we use the last 30 minutes to showcase favorite creations. Some of the first products were items designed for loved ones such as a desk organizer, a toy for a sibling, suggestion box for the class and a paper clip holder. Another made a set of gifts for a large family. Students created a canoe, a cup, a sign, string telephones, a toy kendama, a magic trick, a sculpture, a hat, and a corrupted robot. One group of children collaborated to form a band and performed a song with their musical instruments. After each presentation, students gave positive feedback and the engineers described the most challenging part of their design process. The skills and character that came with generating, directing, solving and presenting an innovation defined a world-class learning experience. Ownership of learning can’t be taught and it is developed with an opportunity. The fruit that had blossomed was joy, patience, confidence, and community while even more seeds were planted that day. Real life has NO curriculum. We get to design our lives based on our personal values, needs, and goals. For students, “Follow the Directions” must eventually become “Lead the Direction.” The more we can allow space for that, as educators, the more we are serving our students’ true needs. We now have a Makerspace for students who come through my class, where they can dream, explore, invent, problem-solve, and connect. I will give safety procedures, space, and storage containers. Most importantly, I will give them guidance, encouragement, and what they need most…opportunity and space to explore. Kristlyn Oda is a National Board Certified 4th grade teacher and NBCT candidate mentor in the Campbell-Kapolei complex in Hawai’i. A current Hope Street Group Hawai’i Teacher Fellow, Kristi was awarded a spot at STEM focused Mickelson Exxon-Mobil Teaching Academy and helped to launch the K-12 PLTW engineering program in her complex area. Follow her via Twitter @KristiOda. The classroom I’m in looks a bit different than the typical High School scene. Not all of the students are sitting at tables or desks. There are five students sitting on the floor with a chromebook and some butcher paper with the beginnings of a long timeline stretched across it. Sitting on some bean bags in another corner are three students creating what looks to be a set of tiny cars out of clay that are to represent the industrial revolution. Some students are sitting at the tables but seem to be engaged in a healthy discussion, excitedly talking and writing their “plan” on a form. Permeating the room is the low buzz of organized research and collaborative design team work. The teacher in this U.S. History class is allowing the students to research and then create a model representation of the The Age of the Automobile. This is a two week mini project that will connect with the year long timeline project that incorporates language arts, history, and math standards. Instead of the history teacher simply giving the students two weeks of copious notes on the overhead, she is teaching her students to be active learners as participants in historical research. History classes do not have to be boring lists of names and places and dates. Interactive, deep learning does not have to be relegated to the confines of the AP or early college courses. Integrating Project Based Learning (PBL) into classroom curriculum has been described as scary, messy, expensive, and simply too difficult. Many educators are intimidated by the lack of structure and the preparation time that it takes to plan a good project for a couple of weeks or even a semester. For many of us, our controlled lessons and unit plans, with their defined protocols, inputs, activities, and outcomes, feel safe. These concerns can be put to rest with a little energy, some innovation, and a bit of time invested in the process of planning PBL. One strategy is to incorporate the community and parents in the process. PBL does not have to be an expensive endeavor. Educators are masters at being resourceful. Use what is available and think outside the box. Many times students and parents are willing to put some skin in the game as well. Sending out a short list of supplies or even asking colleagues for extra random items from home can help. Local businesses are more than happy to donate materials and can often be a great resource for your classroom. For example, many farm stores are willing to donate in order to help schools create gardens, and local hardware stores have been known to pitch in supplies as well. Planning is key. Do not try to plan a cool project the night before introducing it to students. It takes some early planning in order to be sure it makes sense to the students. One great tool is the PBL Checklist along with many other great tools that can be found on the Buck Institute website. It is true that PBL is front loaded with planning and yes, it takes some flexibility and willingness to make mistakes along the way but all this is worth it in the end. As a teacher who has been implementing PBL for over 4 years, I have recognized the benefits of PBL as it changes the teaching role from a director of the classroom to a facilitator and life long learner. The teacher gets to watch the students learn and grow right before their eyes daily instead of waiting for a test to assess the learning. Over the years, many students return to express their gratefulness at having had numerous, rich project experiences where they were able to work on real world problems and use their voices for something they felt passionate about. PBL gives students a chance to use their school time as a vehicle for learning about the world from their perspective. Teachers and students have the opportunity to learn together and that causes a huge shift in the overall classroom experience. PBL can be done without fear and teachers and students can thrive together. Dulcy Dawson is a High School Teacher at West Hawaii Explorations Academy, a project based public charter school on Hawaii Island. She loves learning alongside her students and continues to be a life long learner. When not with her students, you will find Dulcy with her husband and kids or on a coffee date with a friend. This is true. The teachers are learning as the students are off exploring in their wheel classes. But what exactly goes on during a Professional Learning Community (PLC) or Learning Team Time (LTT)? Simply put, strategies are developed to help students learn more effectively. System Concerns (Behavioral, Technology, and Grade Level). Members of an LTT consist of the grade level general education, special education, and RTI teachers, along with a curriculum coach. The coach facilitates and guides the discussions and offers suggestions on practice. The teams meet every 10 days, or four to five times a quarter. At the beginning of a typical LTT meeting, the team reviews our RTI program. This is when our grade level teachers communicate with our special education and RTI teachers about shared goals and shared students. At the beginning of the year, every student is evaluated with a universal screener for the subject areas of math and reading. The scores that we receive from these reports, in addition to several other data points, are used to strategically tier students according to their abilities. Teachers keep track of where specific students are and how they are progressing. Dialogue ensues and insights are shared among team members. Over time, intervention strategies to help students grow are developed, implemented, and monitored. Many students progress in their learning; those who do not are given more intensive intervention (increased one-on-one time with educators, for example) and if desired progress is not achieved, more specialized resources are sought out. The second component of our LTT is Data Teams. During this time, the team decides on a specific standard or topic to monitor over a set period of time. Students are given a pre-assessment to measure base knowledge of the topic without any instruction. The team analyzes this pre-assessment to see what students know and what gaps exist prior to instruction. Teachers discuss trends in the data and look for mistakes, then the planning begins. Teachers focus on how to best teach all students while considering the pre-assessment data. Research-based instructional strategies are discussed and implemented. Throughout the cycle of meetings, teachers monitor student growth by using formative assessments and by sharing student work with each other. At the end of the cycle, a post-assessment is given and analyzed. Teachers are encouraged to reflect on their practice during this analysis; it helps us to see what teaching methods are effective for a set group of students and to notice our own growth as teachers. Professional Development is the third facet of LTT. Teachers are given a chance to learn about new state or district-level initiatives. One example of this is Next Generation Science Standards which must be implemented by school year 2019-2020. Teachers are given guidance from coaches and district specialists and, most importantly, they are given time to plan lessons together. We’ve also used this time to learn about AVID (Advancement Via Individual Determination), which seeks to close the achievement gap by providing students with the skills needed to be successful in college and in life. During LTT, teachers learn about and plan how to use AVID strategies together, providing consistent and effective deployment across the school. Going over System Concerns is typically how an LTT ends. The team brings up behavioral concerns that they notice in class and, if needed, the student services coordinator (SSC) and/or counselor are asked to advise. Technology concerns are also addressed by our tech team and any problems are diagnosed and remedied. Finally, if there are any grade level concerns, these are brought to the table and discussed. Discussing and responding to all of these system concerns ensures that teachers, and ultimately the students, are supported. So remember, when your child says that they have a wheel period, teachers and support staff are at Learning Team Time and are hard at work collaborating, analyzing, and discussing what is best for each and every student at Hickam Elementary. Keith Hamana, a 24-year veteran of the Hawai’i DOE, with 22 years spent at Hickam El, has taught grades 3, 4, and 5 and now serves as Hickam’s Curriculum Coach. Hamana is a proud product of the Hawaii Public School system and firmly believes that education is the cornerstone of a healthy democracy. Here, he provides insight into the school’s Professional Learning Community, where teachers collaborate to ensure students are getting what they need to succeed. This work is paying off for Hickam’s students — the 2017-18 Strive HI System’s school report card shows they have strong achievement results and high levels of growth, literacy and attendance levels. Excellent leadership is a huge contributor to school-wide student success. A good principal influences every student and teacher in his or her school rather than just a single classroom, magnifying his or her effect on student success rates. A 2013 peer-reviewed study by Branch, Hanushek, and Rivkin determined that highly-effective principals raise the achievement of a typical student in their schools by two to seven months of learning in a single school year. Inadequate principals have the opposite effect, lowering achievement at the same rate (Branch, Hanushek, & Rivkin, 2013). As such, a greater understanding of what qualities lead to quality leadership is paramount. A principal’s job is so much bigger than sitting behind a desk, dealing exclusively with payrolls, facilities, teaching lines, and budgets. We know this to be true, yet our school leaders can get lost behind their desks. Principals must put on the hat of instructional leader, making use of the latest research, encouraging a collaborative environment, and facilitating the professional growth of their teachers. These leaders empower their teachers to have a voice and utilize their teachers as resources for professional learning and growth for the entire school. The long-term result of this collaborative environment is the creation of a “safe space” for educators’ continuous development. This type of leadership fosters an environment of trust, safety, and respect between a school’s administration and its teachers, where principals and teachers are able to work together to identify school objectives and individual teacher growth goals. For teachers to safely innovate, try, fail, and succeed, both school leader and instructional leader must adopt a growth mindset, giving and receiving constructive criticism. Principals should act like their best teachers, creating a school culture that values innovation and calculated risks, that doesn’t punish practitioners when something fails. Failure and struggle lead to the best learning and growth. Good leaders cultivate a workplace where teachers feel invited to innovate, grow, reflect, and learn without fear of reprisal. Some districts are capitalizing on successful school leadership by creating school groups in which principals share institutional knowledge, collaborate, observe each other’s work, share successes and failures, and inspire one another to continue to grow as leaders. One form of this is the creation of Instructional Leadership Teams (ILT). In this model principals are grouped with coaches, teacher leaders, and principals from nearby schools. Principals are then held accountable for the agreements made in their ILT group. Teacher leaders are an integral part of this team, giving voice to the educators at their schoolsites. Good leaders attract great teachers. Teacher retention, a key factor in student success rates, correlates directly to school leadership. The best teachers choose to stay in schools with strong leaders, and they quickly leave schools operated by inadequate principals (Branch et al., 2013). In turn, student success is directly impacted by the quality of teachers retained by the school (Kaplan & Owens, 2001). Teachers have a direct impact on individual student success, but achieving school-wide success involves so much more. It is time for policymakers to more closely evaluate our administrators and the role they play in our schools. Excellent administrators have a monumental effect on teacher success, retention, and school-wide student growth. It’s time for other districts to utilize the latest research and join the 21st century, for the benefit of students nationwide. Monica Myrmo Heiser, an experienced elementary school teacher currently teaching in Hawaii, earned both a BA and a Bilingual teaching credential from SDSU. 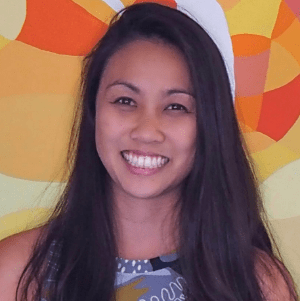 A Hope Street Group Hawaii Teacher Fellow, Monica embraces additional leadership roles including serving on her instructional leadership team, plus teaching reading and writing professional development for teachers. Follow her on Twitter via @MMyrmo. Lorna Baniaga-Lee, English Teacher, James Campbell High School. My classroom is a beautiful world of bright, talented, and sophisticated young men and women. It is a place of student learning, individualized education, research-based strategies, and student voice. It is a place of love for public education. For professional growth. For the belief that all children deserve a better education. No one warned me how much I would grow to love these students. No class prepared me for the overwhelming feelings for a child’s social and emotional well-being. No one told me that there would be tears shed over feeling helpless sometimes. Yet this is exactly what a relationship between a teacher and the students is all about. For those of us who are dog lovers, we know the excitement that hits you the very minute you walk through the door of your own home. Tails wagging, paws with nails clicking all over the floor, jumping when they definitely know they aren’t supposed to. Because they simply cannot stand the excitement. Dogs can love us so unconditionally that they live for those moments of just seeing our faces again. Your warm embrace, petting his or her head, giving the scratches, or holding him or her while getting all the slobbers. You’re so loved by them. This is what our students deserve (minus the slobbers, perhaps): to be greeted with warmth and love that overflows. Our students deserve to hear and feel a sweet welcome, high five, or yes, even a hug. Our students deserve, and need, to be loved by their teacher. Connecting with students in the first two weeks of school is vital. Laying down the foundations and the classroom rules should be happening, of course, but teachers sometimes get so focused on rules, procedures, and foundations that they forget to build loving relationships. We simply cannot afford to fail at building these relationships. Nothing else can happen if those relationships aren’t there. Connecting with a student with special needs means a variety of things. Most importantly, gaining the love and respect of the student can alter the student’s level of stress about the teacher, the classroom, and even the school. When a student feels valued and empowered by the teacher, displaying inappropriate behaviors can be just as upsetting to the student. Knowing that not only are the behaviors inappropriate, but that the behaviors are “letting the teacher down,” can have a tremendous impact on the student. A former student of mine was having a particularly hard day. The work load led to frustration and he tested the limits of appropriate behavior. Then he realized the desired reward wasn’t earned due to his behavior. “NOOOOOOOOO!! !” he yelled loudly, disappointment and anger on his face. Special education classrooms aren’t always rainbows and butterflies. What happened next wasn’t what I expected. As I’m doing my part to help the student, I hear “Don’t hit Mr. Govin. That’s a baaaaaaad day!” What followed was possibly the gentlest punch I will ever feel in my lifetime. That’s when the student erupted like a volcano. Not because the student wanted to hurt me. I didn’t get “punched” because the student was mad at me. I was targeted because the student knew I would display an unconditional love because we had already built that relationship. Within a reasonably short amount of time, the meltdown was over and life continued. Processing began and alternative behaviors were discussed. The level of love, respect, and understanding between the two of us allowed the student to feel safe with his feelings but also work through them without fear. This is why connection is important. Students do not desire to be “bad.” I believe that all children are inherently good individuals by nature. As a special education teacher, it is my responsibility to not only educate and empower young minds within my classroom, but to educate the school, the state, and the general public on the wonderful things happening within public education. If you are reading this as a parent, I’m beyond excited to have your child in my classroom! Your child will be known, respected, educated, empowered, and loved. If you are reading this as a teacher, I hope that this sharing brings you happiness while subsequently encouraging you to share your truth. Public education is a beautiful thing and it is time that we add our voices to the discussion. Derek Govin is a Special Education Teacher for the Hawaii Department of Education. He is also a Hawaii Hope Street Group State Teacher Fellow. If you step into my shoes as an ELL teacher for a day what will you see? Mrs. Miriam “Mimi” Ellen Pagador was born and raised on Kauai where she attended Koloa Elementary School and Kauai High School. She received an AA in Liberal Arts from Kauai Community College and earned her B.Ed and Professional Diploma in English as a Second Language from U.H. Manoa. She has 31 years of teaching experience and has loved them all, her years and her students. Mimi has dedicated her career to the island of Kauai and to the too often ignored ELL students and their families. This from a parent of a preschooler with special needs — a child who struggled with following the flow of the class, who struggled with participating with her peers at morning circle carpet without engaging in distracting and sometimes seriously anti-social behaviors, and who resisted teacher directions just about every time they were given. Just because a four or five year old child can be taught to write their name with correct size and spacing, using correct letter formation, the product which, when hung on the refrigerator door or classroom wall does look really impressive, doesn’t necessarily mean they should. There is a cost attached to increasing the curricular expectations of early childhood programs. With only so much time in a day, whatever time is dedicated to letter tracing worksheets and handwriting is ultimately subtracted from the time a child would spend doing inquiry based activities. When they are seated at a desk, forcing their little muscles to carefully trace each letter, following the directional arrows, they aren’t moving around the classroom, learning where their bodies are in space. They aren’t following the progress of a caterpillar across a leaf and wondering what will happen to that caterpillar when its eating is complete. And they aren’t learning to socialize with one another and develop the ability to engage appropriately with others. If it’s not worksheets, drills, and learning to sit nicely at a desk to complete a task, what is the answer to getting a child ready for the rigors of elementary school? It’s so simple, it is often disbelieved. The answer is play. In the National Association of the Education of Young Children publication of “Developmentally Appropriate Practice in Early Childhood Programs Serving Children Birth Through Age 8,” Copple and Bredekamp (2009) outline four developmental domains that are impacted by play: physical development, cognitive development, language and literacy development, and social/emotional development. According to Nell, Drew, & Bush, a big barrier to play is an increased societal value placed on academics and a lack of understanding of how play benefits cognitive development. Dr. Stuart Brown (2009) states, “we are pushed from play, shamed into rejecting it by a culture that doesn’t understand the human need for it and doesn’t respect it” (p. 145). Johnson and Dinger (2012) build on this idea, stating that society has lost faith in play because play is too deceptively simple and something so simple can’t possibly be an effective teacher for young children. Another reason is that adults who were exposed to an education system in which information was delivered in a top-down fashion have a hard time comprehending how learning can occur without a teacher directing all of the learning. Perhaps the saddest reason outlined is that adults have forgotten how to play and how good it feels to play (Johnson & Dinger, 2012). If we as educators know that play is the answer and know the barriers to play that exist in our educational system, how can we affect positive change? We can start by learning more about play as pedagogy and educating the parents and colleagues we come in contact with. We can dust off our soap-boxes, get up on them, and advocate for the benefits of play and inquiry based activities — to our parents, our administrators, even our legislators. Maybe they can join us in our classes to play and learn with us! We have a moral obligation to educate the various stakeholders that influence our practice. Our youngest, most vulnerable learners are counting on us. Debbie Morrow is a public preschool teacher in Kailua, Hawaii. She has been an early childhood special educator for 13 years prior. She was recently named the Windward District Teacher of the Year. It’s lunchtime on the first day of the Jostens San Diego National Yearbook Workshop at the University of San Diego. My four student yearbook editors and I are sitting around the table sharing our learning so far. The students’ ideas cross the table, rapid fire, everyone excited. “So this year, we want to have each editor lead a mini-lesson. That way you can be relieved of teaching first-year yearbook students everything, and it will give you some time to work with the yearbook 2-4s because we need your help too,” continued my fourth-year editor. They nod and smile in agreement. Google Maps is a tool that helps people get to new places. It informs you of the best routes, the time each route takes, where one might experience traffic or other roadblocks, and it usually reroutes you if something occurs and a detours is required. That’s basically how a curriculum map functions for teachers. We map out the year, the quarters, the weeks, the days to ensure we help our students achieve the goals and standards that they need to navigate and fulfill the requirements of the course. What is mine is actually theirs. My curriculum map shouldn’t be about me, it’s really theirs, so I should be jumping for joy that they want to teach our new staffers. There is all this talk about ownership when teachers talk about curriculum maps, but the strongest maps and plans are those devised by a team. If my students are diagnosing their needs and want to determine the routes of the class, then they’re deciding what’s next. Jenny Howe is a freshman English Language Arts teacher, Yearbook adviser, school-level mentor, and instructional coach at President Theodore Roosevelt High School in the Kaimuki-McKinley-Roosevelt Complex Area. She has also taught English Language Learners, newswriting, arts & communication, digital media, and broadcast media. Jenny is a member of the Hawaii Scholastic Journalism Association and is the State Director for the Hawaii State Journalism Education Association. She has a Bachelor of Arts in English Language and Literature from the University of Washington and a Master of Arts in Teaching from the University of Southern California’s Rossier School of Education. A comment from a Kauai High School student at a recent student forum, part of a teacher conference I attended. I immediately thought about the multiple suicides I have heard about over my 15 years of teaching on Molokai. He answered “Nope.” A pause. “I wish teachers took the time to teach us those things.” Silence settled over the teachers in the room. A few months have passed and this exchange bothers me everyday. Questions crowd out my other thoughts. What can be done to address this madness? What can drive humans to get to this point? What can I do to help calm the turbulent waters for our children? Why, in a place everyone calls paradise, are our island people in such distress? I don’t know the answers but I decided that the fact that this student was able to muster up the confidence to speak honestly to a bunch of teachers meant that he was moving mountains and giving hope to our future. It gave me hope. Thanks to the work of various groups, including nonprofits such as The Hope Street Group State Teacher Fellowship, we are redefining what it means to be a teacher and rethinking what we can accomplish across our state and profession. More now than ever, we need to prioritize Social/Emotional intelligence as the first stepping-stone in developing our children for their lives. One way to do this is to take time to just listen to our students more. How do we remain hopeful in teaching? How are we going to address this and other epidemics our young people face? First, the Hope Street Group State Teacher Fellowship treats us like professionals and allows us the time and space to work cooperatively towards solutions. Convenings are held in creative and conducive learning spaces like the Impact Hub in Honolulu where we bounce back ideas and learn from each other in a café like setting. The teachers in the fellowship represent all parts of the state and all grade levels and are selected in part based on their dispositions, the way they tackle problems and approach this wonderful art we call teaching. The process is similar to how companies such as Google are hiring their professionals, not on a grade point average or lengthy resume, but how the individual approaches problems. Overall, we are a team of dedicated teachers committed to improving our profession. As a team, the State Teacher Fellows seek to collaborate, problem solve, and tackle the problems plaguing our profession. At our recent convenings, we not only spent time listening to students’ concerns, working together as teachers, and growing together through professional learning sessions but we heard from the assistant and deputy superintendents, the board of education, and the superintendent herself. They came to talk to us about their jobs in the public education system but also to talk to us about their WHY. This was a breath of fresh air to see that their intentions were genuinely focused on the wellbeing of our students, all students. Ultimately, the hope in teaching lies in bridging the gap between these individuals at the top and the teachers and students because we are all here to serve a common need: leading students to a bright future. Through the type of communication and relationship building embedded in the fellowship, we are going to pave the way for teachers to truly address and respond to the issues concerning our island students, their needs to survive in our ever-changing world of information. The fellowship is also a model for how teachers should interact with their students. As I digest all the information from the convenings, I think about my own practice as a teacher on Molokai. I think about how I have to teach children who have witnessed suicides with their own eyes or have had to deal with loved ones contemplating suicide. How in the world will I tackle this? How will I give hope to this child who views suicide as a way to cope? What is the solution? Just as the Hope Street Group State Teacher Fellowship gives teachers hope that we can bridge the gaps and have a voice in education, that we matter, we need to instill the same type of hope in our students. We need to encourage self-awareness and emotional resiliency. Schools need to become innovative sanctuaries for children where they can feel safe, listened to, and able to take risks. Teachers need to bridge the gap between themselves and their students and dive deeper into understanding them as human beings. Ultimately, our everyday lives come down to decisions and responses. With the speed and rate that information is coming towards us, at times, life can be quite difficult to process. It is especially difficult when rejection is rampant on social media and data driven academics label us and our students by our scores. Sometimes we need to stop, slow down, and take time to listen to our children and model how to cope and make mindful decisions. When we respond with hope, we instill it in others. I was in line for snacks at a Professional Development day, readying my paper plate for some homemade banana bread and chips. The teacher behind me struck up a conversation while scooping some dip onto her plate. She asked how I was doing in my second year. Fine, I thought. I’m adjusting. I was piloting 1:1 Chromebooks with my students, integrating game-based learning, and slowly building my tool box of teaching strategies. Fine, I thought again. She suggested that workplaces like Amazon and Google offer higher salaries with optimum working conditions, that I could do less grueling work and have a better life. The directness of her question, of her suggestion that a different job could lead to a “better life,” forced me to stop and think for a moment. Here was a teacher, who I knew and respected, discouraging me, another teacher, from staying in the profession. It felt like she was trying to “save” me. How do we begin to peel away at the complexity of the “teacher image” problem? Start small. We can start with us. 1. Identify areas of growth and spark a conversation. What are some aspects of the teaching profession that frustrate you? Is it the low salary? Diluted professional development? Inconsistent curriculum? Acknowledging that there are many areas of growth within education is important-- in fact, acknowledgement is the first step. However, how can we begin to spark a conversation around these issues in a solutions-oriented way? Taylor Mali, in a spoken word piece entitled “What Teachers Make,” sparks conversation nationally as his poem gives teachers a platform to question, think, share knowledge, and find points of pride in our profession. 2. Words have power. Choose them wisely. Words have power and we must choose them wisely, writes Dr. Jack Schafer in Psychology Today’s article, Words Have Power. Stop and think-- take a moment to reflect on how you speak about your own teaching profession. How much do you contribute to the negative image of teaching through your words? “Words cannot change reality,” Dr. Schafer continues, “but they can change how people perceive reality.” When having conversations with people outside of the teaching profession, acknowledge the issues but also celebrate the good and be proud of your role in the lives of students who need us. Recognizing that words are powerful can help us to remember that they can lead us down positive or negative paths. Back up your words with research and action. Educate yourself around issues you care about, have conversations with others, and find opportunities to find solutions and take action. After a long, hot, and tiring day of facilitating learning for classrooms of students, thinking of the good things that happened in a day can be tough; but you can do it - stop and spend a moment to find that one good thing that happened. Celebrate it. Perhaps it’s the “aha” moment from a student who has been struggling or maybe your grade level or department meeting went smoothly. Whatever it is, find it and celebrate it by simply thinking about it, by writing it down, or by telling a friend about it. You can also celebrate the good by creating small events within your school or complex area to acknowledge and appreciate the hard work your colleagues have done. How often do we celebrate teachers? In the past year, through events like ECET2 (Elevating and Celebrating Effective Teachers and Teaching), there has been a slow and steady movement to celebrate teachers. In the state of Hawaii alone, there have been over five regional ECET2 HI events that have inspired teachers to continue the celebration in their own schools. It starts small. It starts with us. Teachers matter and teachers have power. We are the most important group in shifting the negative narrative around our profession. We can and should reclaim that narrative. People may say, “you could be anywhere else,” but you chose to be here. Tell us why.